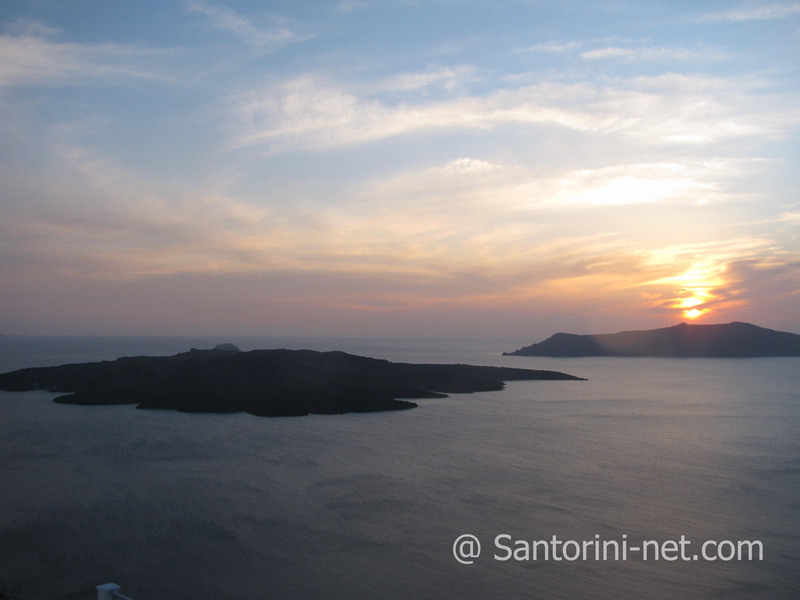 A landscape full of energy and magnificent views, is the one that visitors enjoy when they arrive at the island of Santorini. 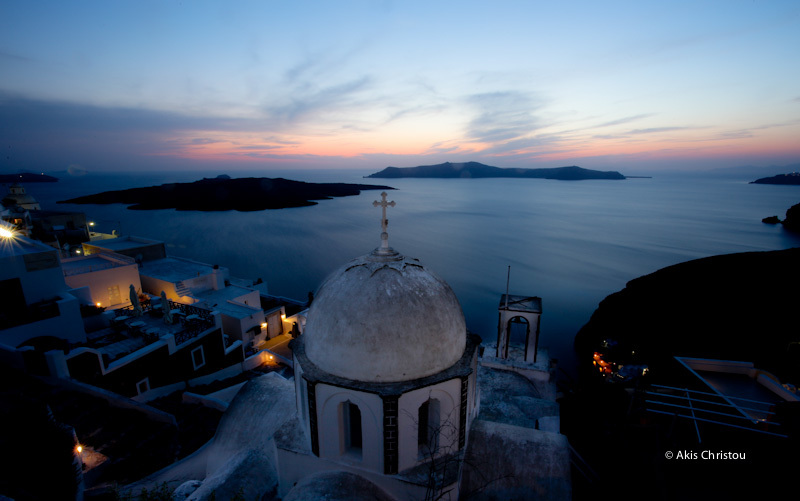 This magic Greek island resides at the south part of the Aegean sea as part of the Cyclades group. 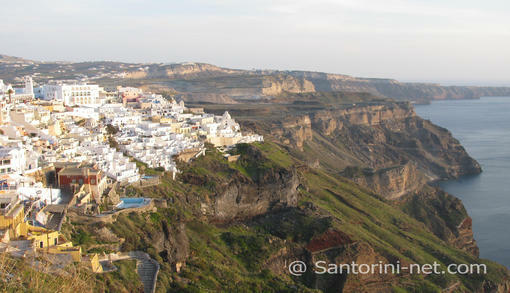 Santorini is a remnant of the big volcanic explosion which happened during the Minoan years at the island of Strogili. That is also the origin of the famous Caldera, a unique and worldwide popular spot that makes visitors come to the island in thousands every year. According to Travel and Leisure Magazine the island is the world's number one island for 2011! Apart from some very important monuments of the latter neolithic era, such as the Akrotiri and the Ancient Thira, Santorini is also well-known for its prehistoric Museum of Thira. Mostly, the findings of the German Archeological Institute are hosted there so the visitors are able to find out why the island was one of the most powerful Aegean centers back then. When it comes to seasides, it has plenty of unique beauty and its volcanic origin has helped in the creation of many different ones. 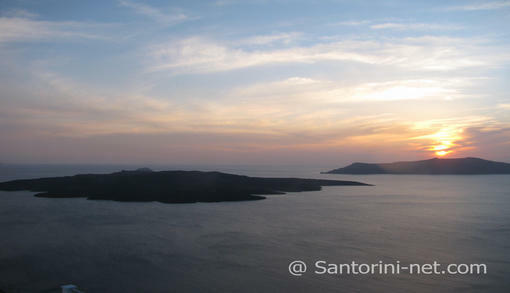 The most famous beaches of Santorini are Perivolos, Perissa, Kamari, Ammoudi and Vlichada with still more to go. Each one of them is full of beach bars, day and night clubs, restaurants and fish taverns. Many beach activities are also available such as, among others, water-skiing, windsurfing, scuba diving, canoeing, jet-skiing and sailing. Tourists are encouraged to perform scuba diving, always guided by professionals, so as to admire the lively colors of the island's deeps. 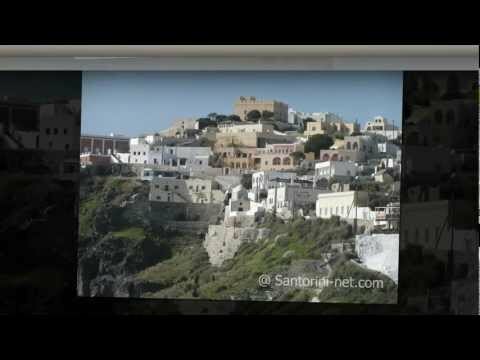 The main town, the capital of Thira, is Fira, where almost everything takes place every single night during the high season which, by the way, in this island lasts more than six months a year! Fira is a town very close to Caldera and Imerovigli where most of the famous luxury hotels are located. The reason is that the famous caldera view of the Aegean sea from there is stunning. The nightlife of Fira is very well known around the world with lots of celebrities arriving at the island together with the tourists just to have fun at the hundreds of bars and night clubs, usually until the next morning and listening and dancing to music for all tastes. Maybe not so many people know that, apart from all the above, Santorini is an actual gastronomic paradise where food enthusiasts and everyone else can enjoy from grilled fresh Aegean fish, traditional Greek cuisine and quality local dishes to really expensive and creative tastes that only the best restaurants in the world can offer. If you are not taking your vehicle or motorbike at the island and if you are not getting there with your own boat, make sure to rent your wheels because the island is not small and you will want to get around. Of course there is the solution of local transportation as well. 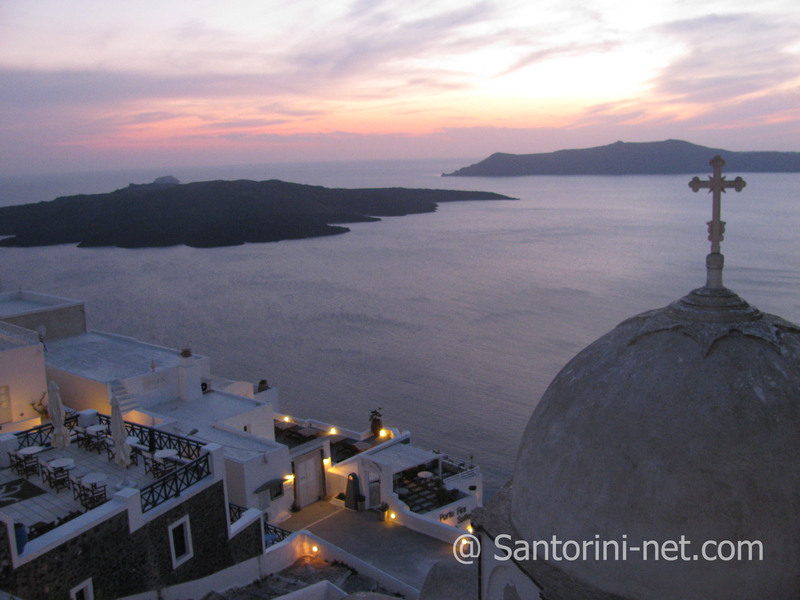 No one leaves this island without watching the sunset from the terraces of Oia, a village which is a meeting place for everybody in order to watch what is said to be the most magnificent sunset in this world.